Install ceramic tile confidently on floors! In spite of all the advancements of technology, ceramic tiles continue to be used widely. Residences and businesses have used ceramic tiles for hundreds of years, maybe thousands. They are decorative and practical too. Fashions come and go like linoleum and shag carpets, but ceramic floorings are permanent. Yet some homeowners wish to avoid ceramic floors, believing that they are not so durable. Ceramics on walls and other vertical surfaces do not take such a beating like a floor. Some people doubt that ceramics chip and crack, and cannot tolerate stains and spills. Some materials like porcelain tiles may be denser, but ceramics for floors have a Porcelain Enamel Institute rating for durability. Residences can use them with certainty. Get familiar with some of the ceramic flooring options and be electrified. Though the beloved hardwood plank floors are everybody’s favorite, they carry limitations. Wetness prevents them being installed in kitchens and bathrooms. The Beige Carolina Timber Ceramic Tile with the perfect wood image brings the splendor of wood floors without the hassle. No worry about maintenance. The 6”X24” planks allow for easy installations. The incredible looks of gray hardwood planks are replicated in this ceramic tile. No stains and spills in the kitchen would bother it. Bathrooms with water and mildew are no problem either. Pets won’t scratch them, nor will stiletto heels. Rather, real wood poses the problem of splinters. With several advantages over carpets, the variations of gentle beige and cream would fit well into any part of the home. The smart choice is particularly attractive in the bedroom. Sufferers of allergies from carpets and pet dander would love this ceramic tile. If tiles are considered too cold, install an under-floor radiant heating system. That won’t be possible with a carpet. Many budgets may not allow for Italian marble at the grand entrance! This ceramic imitation does communicate that eternal, magical marble touch. Pale gray veins decorate the pure white backdrop. Besides being cheaper, the other advantage over marble is the easy maintenance. In limestone, the Aliso Gris Ceramic Tile in neutral beige and cream white creates a spa effect in the bathroom. Walls may use the flimsy decorative ceramic tile creations. The floor tiles serve well on the ground. Besides durability and slip proof quality, imitations of wood, marble, and sandstone provide a treat for the senses. Ceramic tiles look charismatic only when it is well maintained. These tiles are strong and have more durability. To make these tiles look attractive and shiny, it is better to clean it regularly. If there are any spills or stains, it is recommended to clean it instantly. If the spillage is left for a long time it flows to the grout in between the tiles and the color changes. It is always recommended to have a schedule for maintenance. If the dirt is left for a long time then it will tough to clean. There are many tile and grout cleaners in the market. It is better to choose the best one for ceramic tiles. Ceramic tiles are easy to Maintain. 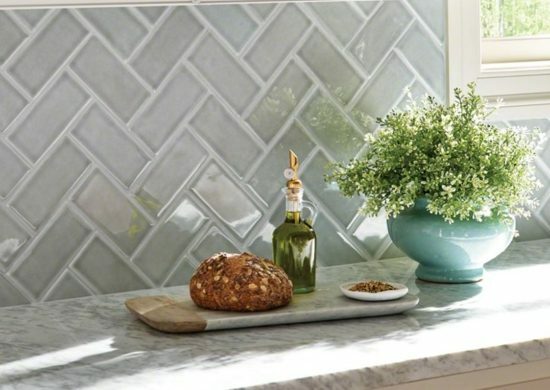 Use a mild grout and tile cleaner. The type of water in the region has to be observed to choose the cleaner. If the water is hard then it is better to get a cleaner which gives more lather. On bathroom tiles, water can be poured and scrubbed with a sponge for extensive cleaning. Harsh chemicals may peel off the surface of ceramic tiles. Do not leave the cleaners on the tile for a longer time. It may fade the color of the surface. To maintain the house cleaning is one of the important aspects to keep the house looking gorgeous always. These tips will be helpful for you to maintain the house in the right direction. Out of concern for the degraded environment, investment in green products has become a moral duty. Construction materials and machinery also pollute the atmosphere. Buy Ceramic Tiles that are manufactured from clays and so are crockery that is used each day by the million. While porcelain is also made from clay, ceramic tiles have the painted surface while porcelains have the color running right through. Natural stone materials like marble, granite, and slate are seldom seen in commercial establishments while the installation of ceramic tiles is constantly on the increase. They serve the purpose extremely well, are attractive and durable and come cost effectively. Sygma Ice and Sygma Cafe Matte Ceramic of a light and dark shade, respectively, would fit in well together, complementing each other. White Subway Glossy Ceramic and White Bevel Subway Glossy Ceramic are far more costly but worth the walls they are placed upon. Buy Ceramic Tiles and be absolutely stunned by the variety on display in terms of colors, designs and finishing. Homeowners and interior designers would be exhilarated at a fascinating jigsaw puzzle and may find difficulty in making a few choices. Consider the location for installation, use the online visualizer and talk it over to reach a consensus, aiming for variety within the walls and floors and across different sections of the house or office.